Head coach Pitso Mosimane says he cannot afford to prioritise the domestic cup ahead of a Caf Champions League do or die tie against AC Horoya next week Tuesday. “We are going to change the team. You can’t put the MTN8 semifinal first-leg ahead of the Champions League game where it is a win at all costs. We still have another chance in the top eight here at home,” Mosimane said at the back of his side’s goalless draw with Highlands Park in the Absa Premiership. Sundowns need to win their match against Horoya if they are to advance to the Champions League knockout stages. “We have to refresh the squad. I think Themba Zwane and them must rest. 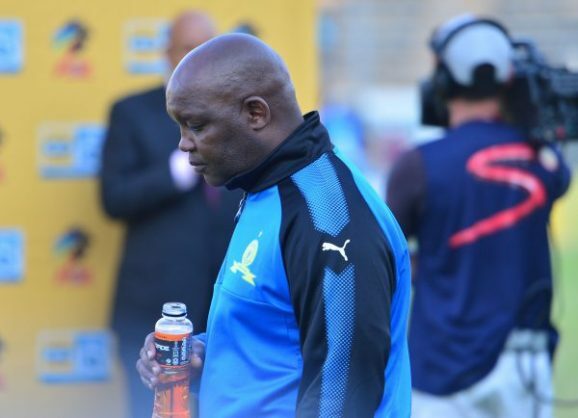 We have an important game on Tuesday which determines our faith in the bigger scheme of the Champions League,” said Mosimane. The former Bafana Bafana mentor said he is likely to field the players who won a pre-season tie against Kaizer Chiefs at the FNB Stadium.